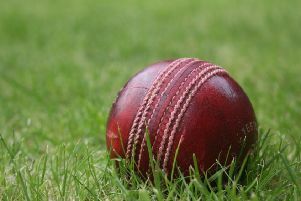 The adage catches win matches rang true as Belvoir slipped to a five-wicket defeat at Hucknall. Dane Straw took four excellent catches in the Division A game which, added to his 4 for 40 bowling figures, largely accounted for Belvoir reaching only 148. Josh Sharpe had looked powerful, but after cracking three excellent fours he was Straw’s first victim for 22. Tom Neville punched five fours in his 23 before he was bowled by the persistent Robin Maxwell (3 for 32). Another feature of the game was the individual battle between Maxwell and Belvoir’s Greg Oldfield who hit 56 from 58 balls. Maxwell bowled tightly and won several rounds, but walking down the wicket, driving straight and pulling powerfully helped Oldfield win a few himself. At the other end, Belvoir’s batters bowed out regularly to Maxwell, Adam Scott (2 for 24) and Straw. In reply, Dale Campbell (57) went from nought to 50 in 24 balls with 12 fours thanks to pure power as well as sweet timing. At the other end Tim Buckthorpe (41 not out) played the perfect second fiddle until Campbell was bowled by Xanti Xipu (3 for 54) to end the 80-run opening stand. Xipu showed great perseverance and no little guile as Belvoir fought back doggedly. From the other end, Oldfield (2 for 39) chipped in, but despite their efforts, Buckthorpe saw Hucknall home.